The trans-Hudson car ferry William T. Hart and the anthracite terminal of the Pennsylvania Coal Company were two of the three major factors that combined to make Newburgh a major traffic hub for the Erie. The car ferry linked the Erie to the New York & New England Railroad and successor New Haven Railroad to form an important route into southern New England until the New Haven bought and rehabilitated the Poughkeepsie Bridge Route and no longer needed the car ferry. The coal terminal for decades was the destination for millions of tons of anthracite hauled by the Erie out of northeastern Pennsylvania. 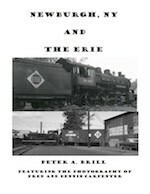 Eventually the Erie purchased the Pennsylvania Coal Company and later abandoned the coal docks once the Erie gained control of the New York, Susquehanna & Western Railroad and favored their coal dumper at Edgewater, NJ. 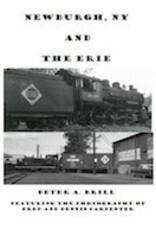 Once shorn of the car ferry and the coal terminal, Newburgh still offered the Erie, and successor Erie Lackawanna, considerable traffic from its local industries for another fifty years. This is the story of Newburgh, NY and the Erie.